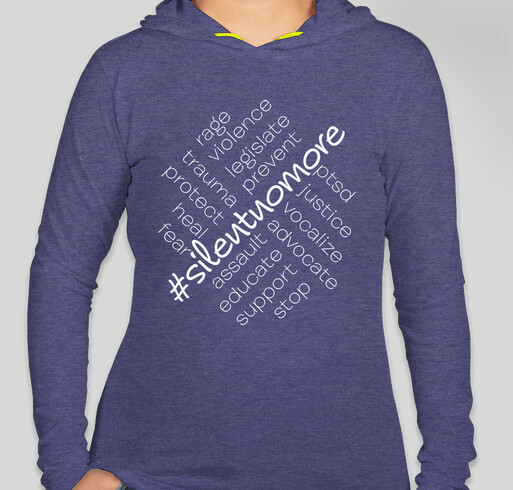 Please support Silent No More Foundation by buying The Awareness Shirt! All funds raised will go directly to Silent No More Foundation . Silent No More Foundation is raising money to help in the fight to protect healthcare workers before, during, and after workplace assault. This seasonal shirt is called The Awareness Shirt. Wear this fall 2017 shirt, and be silent no more. Been a critical care RN for 40 years. Seen it all. I love my Healthcare people!!! Because it is our responsibility. Share Why You Support "Silent No More Foundation Fall 2017 Shirt"